I received the following from my friend Jacqui yesterday and she said I should share it. Hope you enjoy it as much as I did and when you come down here meet them in person! "As you may know I live where there is mooring for boats, along a river which borders the property. 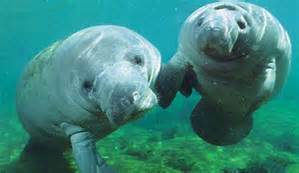 We often see manatees especially during the winter when they travel south for the warmer waters. So my friend Natalie and her husband live on their boat year round. The manatees love to visit them and get a drink of fresh water from their hose. 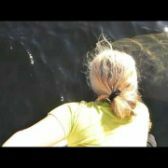 The manatees are so friendly and gentle and HUGE. Enjoy." take care and have a wonderful day"